Nowadays, there’s a wide range of soothing items that aid with sensory challenges and meltdowns; like weighted and sensory products, these are a great way to help autistic people calm down and relax. But do weighted blankets really live up to the hype? Will they provide any sort of relief to your loved ones? Today, I’m going to talk to you about the weighted therapy products that can help autistic people live a more comfortable life and manage their symptoms more effectively. But before understanding how weighted therapy can help, we need to understand these disorders and their symptoms. 1 What is Autism Spectrum Disorder? Autism is an internationally-known complex disorder that is a focal point of numerous research studies. A child with one of these pervasive development disorders tends to have communication problems, show delayed cognitive development, engage in repetitive behaviors or actions, and lack social skills. Symptoms of autism can be seen in babies under 18 months old. Parents of autistic children face a lot of challenges each day. Even though there are many therapies and treatments designed specifically for kids with ASD, parents are always on the lookout for any additional tools that can help their children enjoy the day and sleep better at night. Weird reactions to the way things feel, look, sound, smell, or taste. Lack or excess of fears. Unusual emotional or mood reactions. Unusual sleeping and eating habits. Mild to severe temper tantrums. When you’re a parent of an autistic child, you know how it’s hard to manage all these and many other symptoms. You can’t rely on medications only since you know they can do more harm than good to your child’s health. Fortunately, you can find a host of methods and tools that can help to tame the symptoms of autism in a natural way. From weighted blankets and vests to weighted lap pads and cuddle buddies, it’s become easier to manage autism than a decade ago. The abbreviation PDD-NOS means for Pervasive Developmental Disorder–Not Otherwise Specified, which is, as mentioned earlier, one most common of the autism spectrum disorders. PDD-NOS is characterized by the slow and delayed development of verbal and non-verbal communication, social interaction, imaginative activities and very few activities and interests that are usually repetitive. 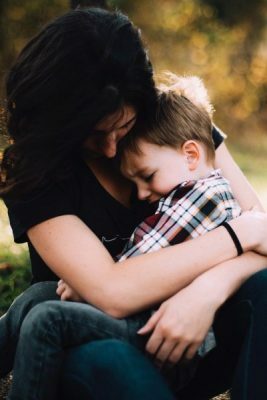 In other words, when your child doesn’t fully have the symptoms of Autism Spectrum Disorder, Childhood Disintegrative Disorder, Rett Syndrome or Asperger’s Syndrome, but still has several of the criteria. If your child has autism, you know meltdowns are a horrible experience. Whether your little one explodes out of nowhere or emerges from a tantrum, seeing them suffer is heart-wrenching. The hardest part though is keeping them safe during a meltdown. Autism meltdown doesn’t happen manipulatively; it’s a total loss of behavioral control that is characterized by self-harming, screaming, hurting others, breaking stuff around, and overall weird behaviors. A meltdown can last for a pretty long while, and you may have difficulty calming your child down. Many people who are not familiar with autism confuse meltdowns with tantrums, but there are absolutely different things. While tantrums are just a bid for control and attention that your kid can stop anytime, meltdowns are unplanned and hard to stop. A tantrumming child knows the limits, they know what they’re demanding, and can agree to calm down as soon as they receive what they want. A child experiencing a meltdown has no limits and doesn’t understand what is safe and what is dangerous. They can cause harm to themselves and those around you without a second thought. A meltdown is often compared with a storm that requires some period of time to blow itself out. During this period, it’s important to keep your child safe. If your child is under 6 years old, you can try to hold and hug them tightly. With an older child or an adult, it may be impossible. 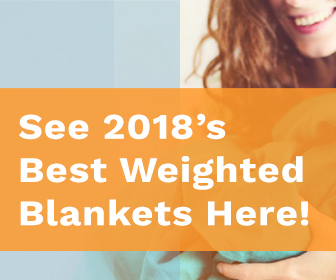 Many parents use weighted blankets to keep their children safe and speed up the soothing process. There are also medications that doctors can prescribe. It depends on how intense meltdowns are. The positive thing to keep in mind when your little one is experiencing a meltdown is that it does tend to burn itself out. Plus, with the latest autism sensory products, it’s easier to distract your child and help a meltdown go away faster. People who haven’t dealt with autism in real life may think that all the products sold these days are just a waste of money. But those who are trying to manage meltdowns on a regular basis might be thankful for autism sensory products. The calming deep pressure specialty: weighted therapy tools, and other sensory integration products, have been shown to promote body awareness, enhance concentration and focus, increase motor control, improve organization and sensory processing, and overall help an autistic child/adult manage daily life obstacles and frequent meltdowns better. Weighted blankets, deep pressure vests, weighted lap pads, sensory sox, and other helpful stuff have their perks and downsides, but let’s dive into more details and see what sensory product might fight the requirements of your loved one. They are the are absolute leaders when it comes to using weighted therapy to cope with autism spectrum disorder. They aid in managing the most common manifestations of autism and can even help your autistic child improve their well-being. Heavy therapy blankets promote a deep pressure touch stimulation, and a huge part of this relief comes from naturally stimulating serotonin production. Serotonin is a neurotransmitter that is highly influential on mood, memory, sleep, appetite, and even learning. When asked about the effects of weighted comforters on their autistic kids, most parents claim that draping it across their shoulders or lap helps them stay calm throughout the day, and feel more secure. These parents also state that using weighted blankets on their kids while they sleep helps them rest better. Among all the symptoms, sleep disturbances are the biggest problem for autistic people of all ages. Sleep disturbances usually include struggles to get a restful sleep, sleep latency, getting little hours of continuous sleep, etc. The thing is, heavy blankets act like a comforter and help kids with autism fall asleep faster, sleep longer, and get a healthy rest. That’s all thanks to a combination of the natural sleep-related chemical production in the body stimulated by pressure and the physical weight of the comforter, which prevents tossing and turning without being too warm or restrictive. Due to the deep touch pressure, the blankets stimulate the serotonin production in the body. Serotonin is a vital chemical that autistic people often lack. This chemical banishes stress, promotes calmness, fights mood swings, and thus induces sleep. Additionally, serotonin is essential for melatonin production in the body. Melatonin helps to regulate sleep schedule and since autistic kids have very low melatonin levels, their natural sleep schedule is often irregular. There are plenty of melatonin medications available these days, but using a weighted quilt seems to be the safer and easier option than supplementation. Moreover, weighted comforters provide a great sensory input. If your child has a sensory processing disorder, they may have difficulty feeling where their body ends. While a simple pair of socks can help with it, a heavy blanket aids in developing the whole body awareness. They are widely used in schools to help autistic children be more attentive and learn better. For instance, one study revealed that a deep touch pressure provided by either a weighted blanket or vest can help with on-task behavior, especially when it comes to the fine motor skills, such as writing. Plus, it helps to improve in-seat behavior. Having a weighted vest on you feels like a calming sensory hug, and this can have a soothing effect by ensuring sensory feedback to improve a child’s concentration and focus. It has also been proven to help to lower stereotypical behaviors in kids with autism. Unlike weighted blankets, weighted vests aren’t appropriate for all kids on the spectrum and they’re not comfortable enough to sleep in them. Don’t use the vest if your child feels uncomfortable or irritated, or you don’t notice any positive changes in their behavior. While a heavy blanket provides a high level of comfort, wearing a weighted vest for too long may cause some discomfort, especially for little kids. They are another autism sensory product to consider. One of the best perks these belts have is that they’re small and compact, and can be worn discreetly under a dress, sweatshirt or jumper. Within several minutes of wearing a weighted belt, many children with autism report feeling more secure, focused, and grounded. This effective and safe sensory aid helps to enhance a healthy sensory development by placing additional weight around the body’s core. Weighted belts are particularly popular in schools where teachers use them to make their lessons more productive and fun with less resistance from the autistic kids. Weighted belts aren’t that good for sleep, though. They can cause stomach pain and overall isn’t comfortable enough to fall asleep with it and sleep well. You can use it during the day, though, in order to help your autistic child feel calmer and more balanced. The soothing weight of the weighted shoulder wraps provides an instant calming effect on people with autism. Consistent and gentle pressure on the shoulders has been shown to help many autistic people, especially kids, with both attention trouble and anxiety. It’s important to choose the shoulder wrap with the calming weight. It will sit comfortably on the shoulders of your child and the weight will be distributed to mimic the proprioceptive sensory input. Unlike vests and belts, the shoulder wraps place the pressure on the shoulders, not around the waist, creating a more realistic feeling of hugging. These are often used to provide self-regulation in people with autism. They’re also great for people with anxiety disorders who need to calm down in a variety of stressful environments. The neck wraps are used in therapeutic programs, schools, and homes and there are plenty of designs for your little one to choose from. The problem with the weighted neck wraps though is that they’re not suitable for children with a phobia of suffocation. If your child feels terrified when wearing a tight-necked clothing, it’s better to consider another weighted option like weighted blankets or belts. Children with autism also have trouble with transitions from one activity to another. When your little one comes home from playing outside, or from school, or when they finish eating, it may be hard for them to start doing something new. This is when weighted lap pads can be useful, dimming the lights and lying a lap pad on top of your kid for 5 to 10 minutes can help him transition into a new activity with much less stress, helping to avoid tantrums. Teachers often use weighted lap pads in the classroom in order to improve the performance of children with autism. These weighted therapy tools have been shown to tame self-stimulatory behavior, including fidgeting that distracts a child and reduces concentration. The lap pads are also ideal for long drives or traveling. They help to relieve fidgeting and encourage a better focus, and they have little to no drawbacks at all. The only thing that matters is the weight; make sure you choose the right one for your child. Oftentimes, stuffed animals are the best friends of kids, especially those with autism. Luckily, today you can give your child a cute best friend that won’t only be the object of play, but will also offer a soothing and calming effect. Weighted cuddle buddies have been specifically developed to give children with special needs the best friend that they can carry out everywhere. A weighted stuffed animal provides the pressure sensation of touch, causing the brain to release serotonin. Most importantly, it looks cute, and kids love cute things. However, it’s not recommended to allow children to sleep with weighted cuddle buddies. Heavy blankets are better for this purpose. Other sensory products are crash mats, swings, sensory space, and tactile fidgets, among the others. Whether your child is in school or at home, using a multi-sensory environment created for their sensory needs may be great at encouraging positive behavior, language interactions, and purposeful engagement. Since every child may respond differently, and every environment has various sensory stimuli, it’s a nice option to consider using weighted products to keep him feeling safe. For instance, a weighted lap pad can help to keep your child in one place and improve their focus during seated tasks, while a weighted blanket will ensure your little one gets a sound sleep. With an overwhelming number of sensory and weighted products available these days, make sure you know the exact weight required for your child and their specific needs. The factor of autism spectrum disorder plays a crucial role, too. Consider the products that will serve you and your little one multiple purposes. This will help you reduce the cost of your sensory and weighted supplies while meeting your ever-changing sensory needs of your autistic child. If you want to see my personal recommendations of weighted blankets manufacturers, you can read about them here.